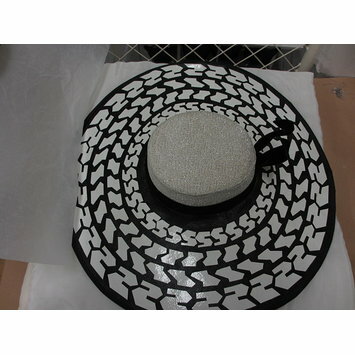 Black straw and silver lamé cartwheel hat with an appliqué design, and a tyre track pattern around the brim. Registered File number 1985/1213. Featured on the Pirelli Calendar, 1985, for May. Modelled by Anna Andersen, photographed by Norman Parkinson. Art direction by Martyn Walsh. 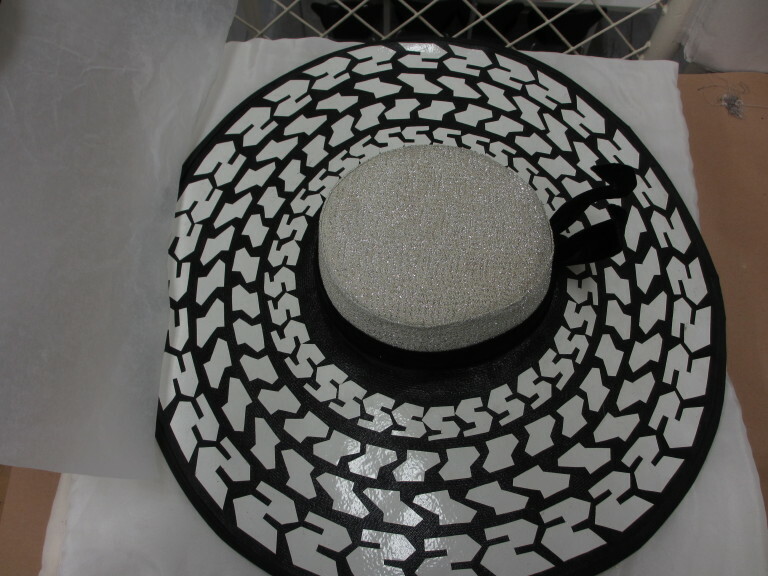 Black straw and silver lamé cartwheel hat 'Pirelli Calendar 1985', designed by John Boyd, England, 1984.